Spring has sprung and we’re feeling utterly giddy over all the romance blooming all around us during our spring wedding season. 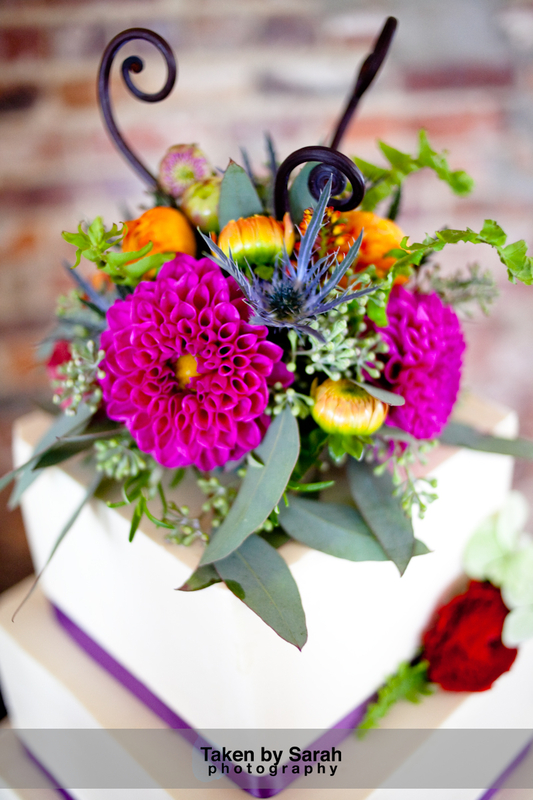 Here are some of our favorite bouquets to help brighten your day. 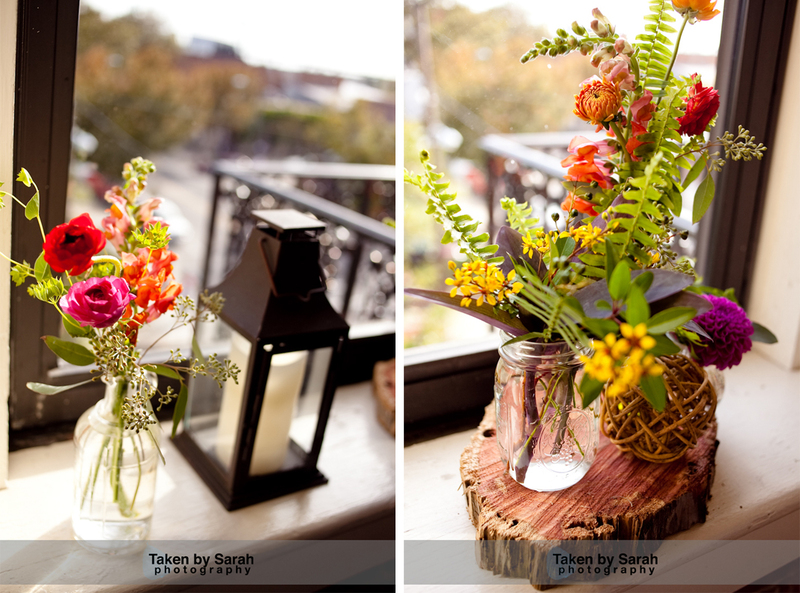 The Atrium and The Balcony on Dock provided the perfect locations for Esther and Randy’s rustic and eclectic wedding. 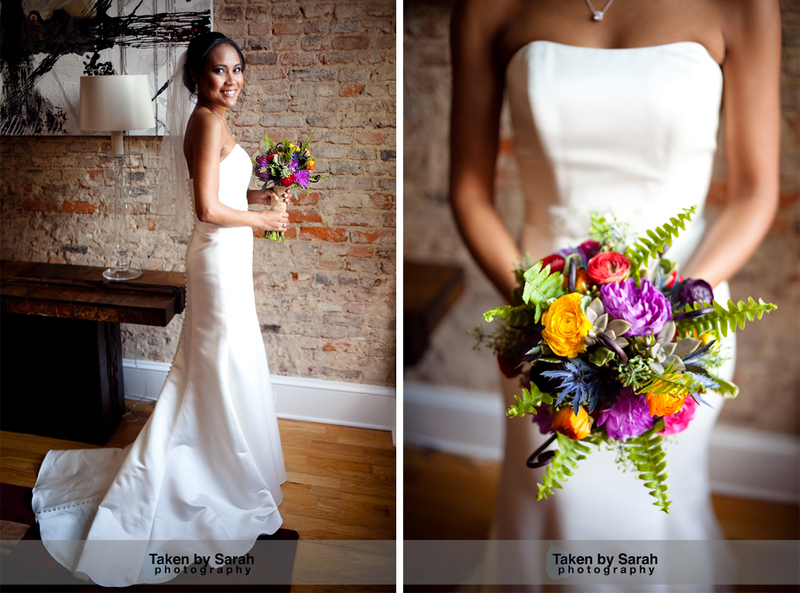 Esther’s bouquet was made of Wax Flower, Thistle, Bells of Ireland and Veronica. 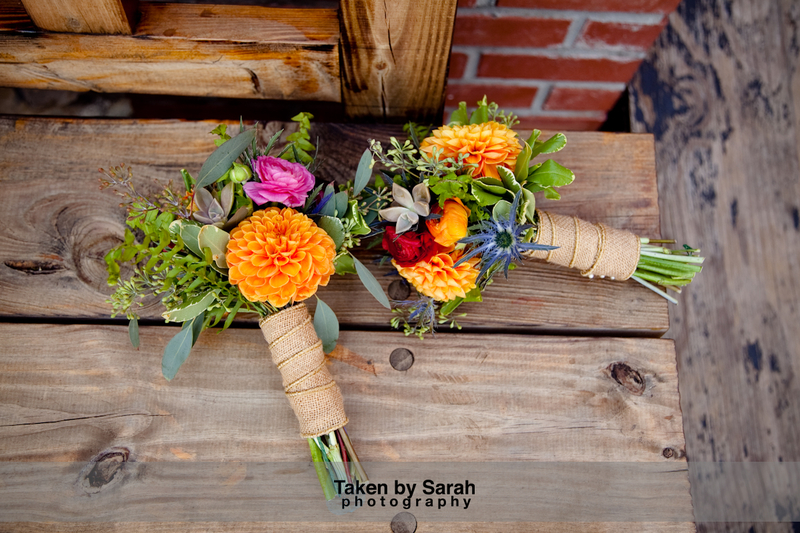 She also provided antique family lace and broach for the bouquet. Both the Bride and Groom worked to construct the paper crane back drop used during the ceremony. 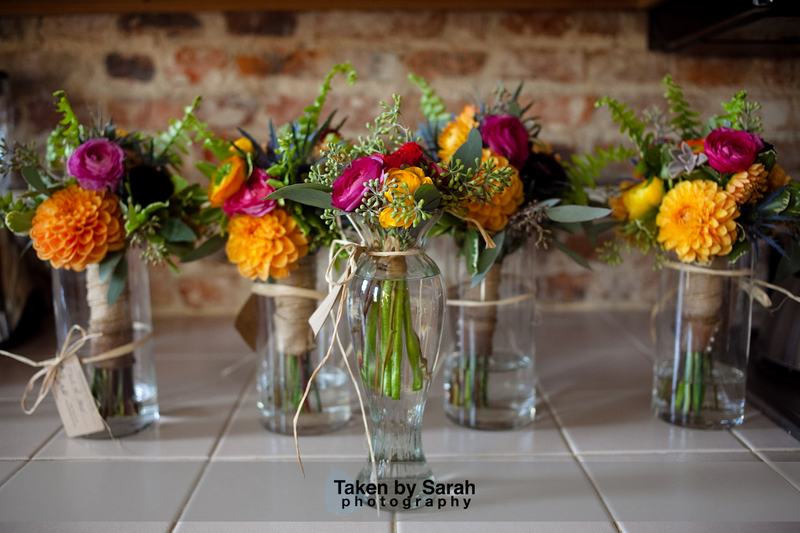 Esther collected color vases from antique stores in NY for the reception. The vases were filled with a variety of flowers including Bells of Ireland, Billy Balls, Sweet Peas, Thistle, Wax Flower and Stock Flower. 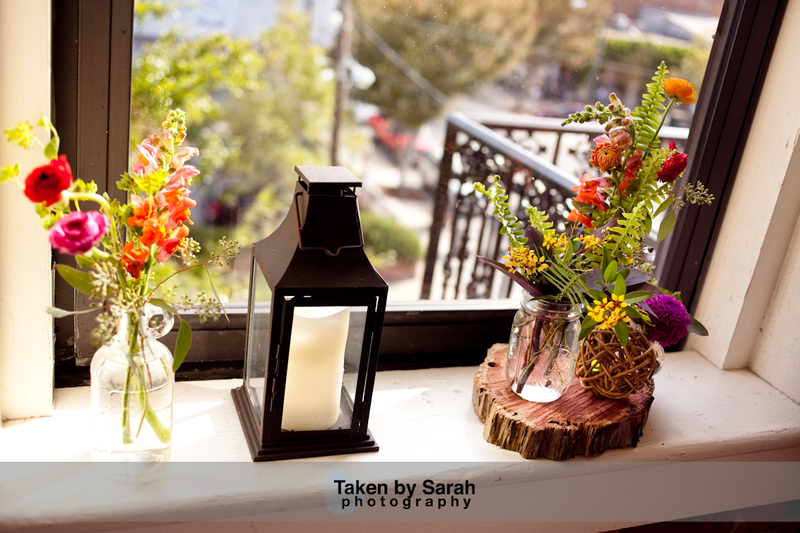 A special thanks to The Atrium, The Balcony on Dock and KMI Photography. 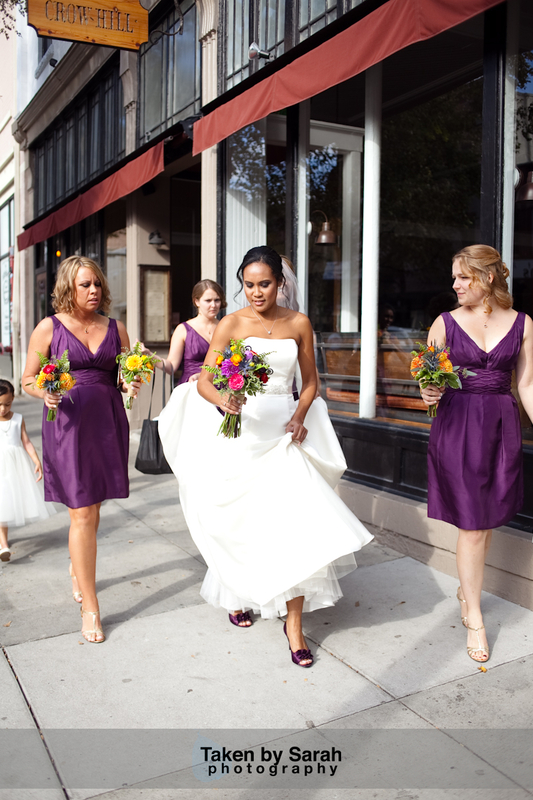 128 South provided the perfect location for Kelly and Ivan’s eclectic spring wedding. Kelly collected a variety of unique tins to use as centerpieces. 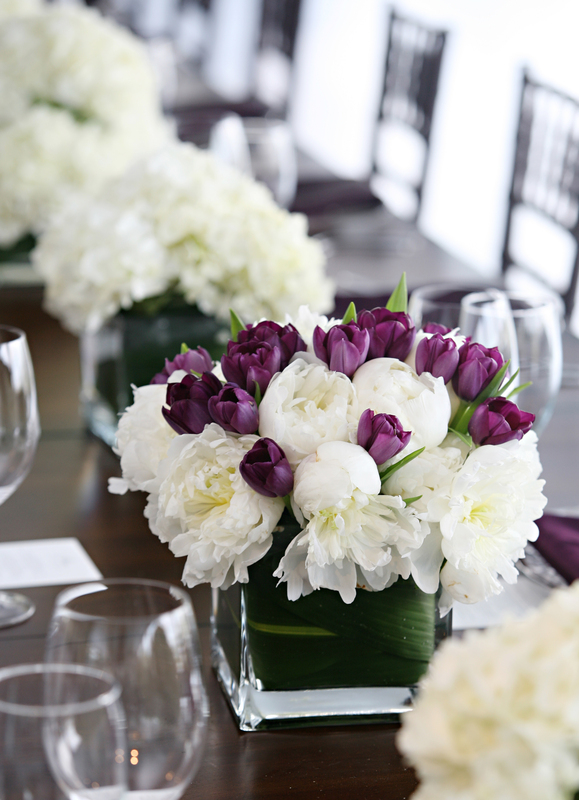 We filled the centerpieces with Tulips, Peonies, Jonquils and Hyacinth. 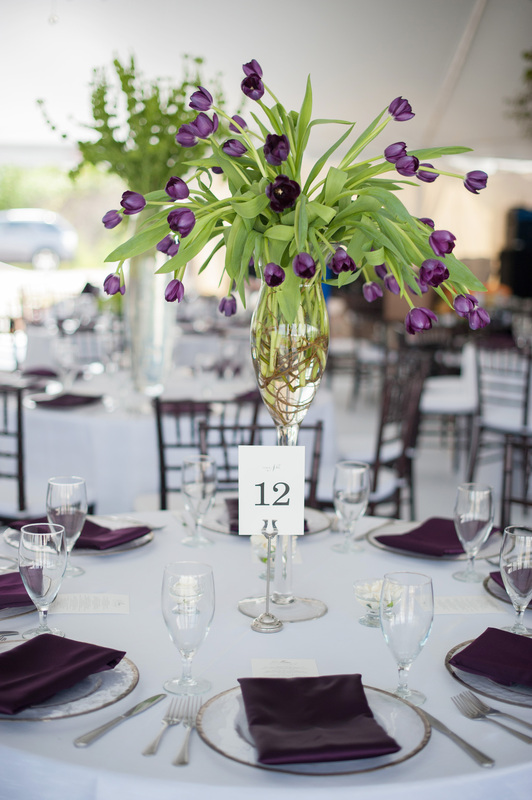 A special thanks to 128 South, Social Butterfly Events and Indigosilver Photography.